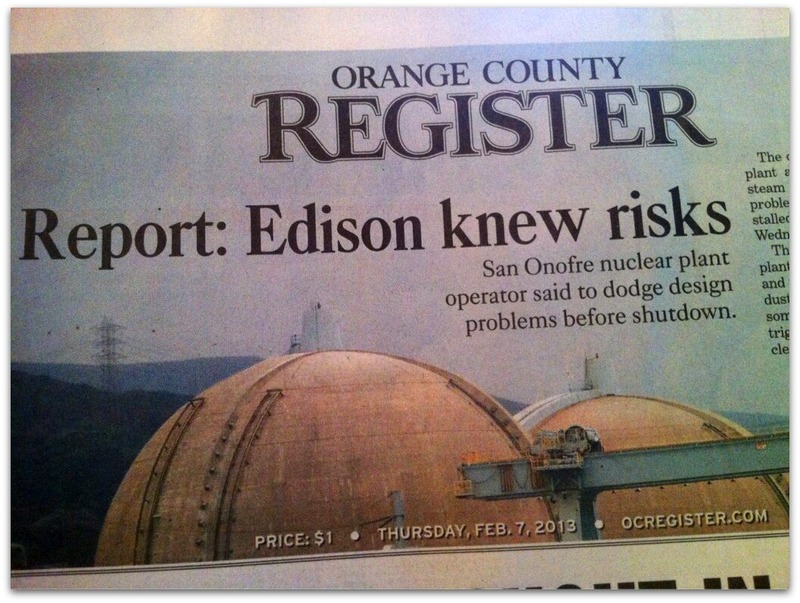 San Onofre Nuke Waste Dump Info: Did Edison Submit False Info To NRC? 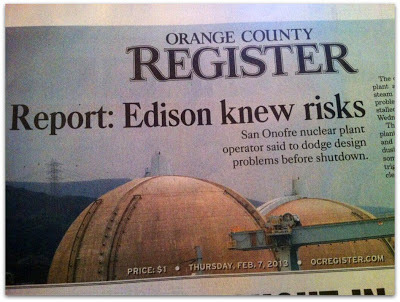 Did Edison submit false information to NRC? 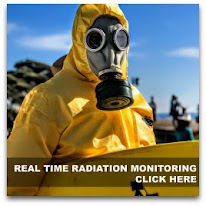 6 p.m. Pacific time, Tuesday, February 12, at Capo Beach Church, Capistrano Beach, and is accessible via a live webcast at: http://video.nrc.gov. 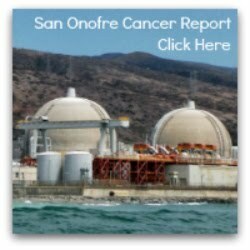 Southern California Edison, operator of the San Onofre nuclear reactors, appears to have submitted false information to the Nuclear Regulatory Commission, Friends of the Earth charged today. The nuclear watchdog again demanded the release of a suppressed report that two senior members of Congress say shows Edison had prior knowledge of potential design flaws in replacement steam generators that failed after less than two years of service. 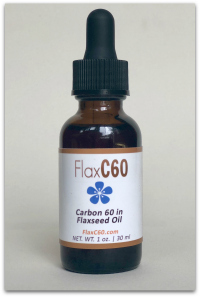 In a letter to the NRC’s Petition Review Board, Friends of the Earth said the report, as described by Senator Barbara Boxer (D-Calif.) and Representative Edward Markey (D-Mass. ), contradicts Edison’s declarations to the Commission last month. The utility claimed it had no prior knowledge of deficiencies in the design of the generators until they failed in January 2012. Details of the Mitsubishi Heavy Industries report were released last week by Sen. Boxer, Chairwoman of the Committee on Environment and Public Works. She did not release the report, but in a letter to the NRC she and Rep. Markey said Mitsubishi told Edison of potential problems with the new generators, but modifications to correct the design flaws were not adopted, as Edison wanted to avoid triggering an NRC license amendment process. This would have required a more thorough and public review of the replacement program. Friends of the Earth also demanded that the Petition Review Board must consider the document in proceedings currently underway. The Review Board, in response to a petition from Friends of the Earth, is determining whether Edison improperly failed to apply for a license amendment before installing replacement steam generators of a radically different design than was permitted under the reactors’ operating license. “The Mitsubishi document appears to confirm our case before the Petition Review Board,” said Kendra Ulrich, nuclear campaigner at Friends of the Earth. “Edison made radical design changes while representing the steam generators as a like for like exchange and then actively chose not to address critical safety issues in order to avoid the license amendment process. Now it appears it also submitted information that is patently false. Pressure is mounting daily for release of the document. On Friday, the NRC confirmed that it has opened an official investigation into the replacement steam generator case. Still, the Commission maintains that the Mitsubishi report is proprietary. In fact, it won’t even be on the agenda for the public meeting the NRC is holding tonight to discuss the experimental restart proposal. "Open disclosure and discussion of this document is critical to the public’s understanding of this controversial restart plan," said Ulrich. "This is the same corporate actor that apparently gambled on safety in the past, and they are asking the NRC to allow them to do so again." Release the report so that ratepayers, who are paying the tab for the purchase of the steam generators, and the public, whose safety depends on responsible operation of the plant, can determine the truth . . . The NRC should make the document public, and soon. It might provide an important description of how Edison makes its safety decisions, and it could become a key aspect of the Public Utility Commission's inquiry into whether ratepayers should be forced to continue paying for the steam generators . 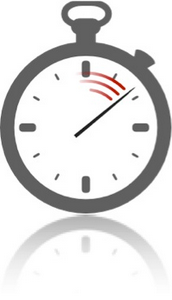 . . What the public is entitled to is information about who knew what and when. Click here to read the Friends of the Earth letter to the NRC Petition Review Board. 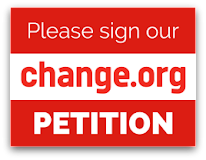 Click here for the Friends of the Earth petitions case.